All these new features and improvements listed here will be immediately enabled in the next 2.19.20 iOS update on AppStore, available soon. 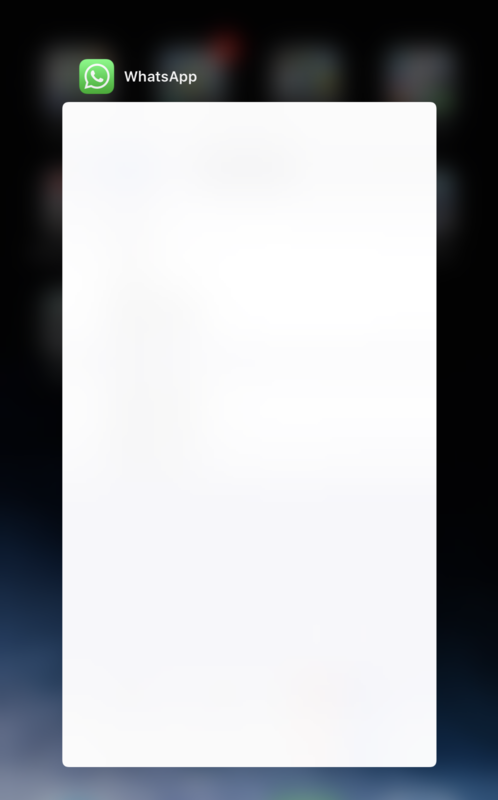 I don’t exclude the possibility to see other features remotely enabled. Details about the iOS beta program are available here, but unfortunately the program is currently full right now. We already talked about the Authentication feature, but it was not publicly available. 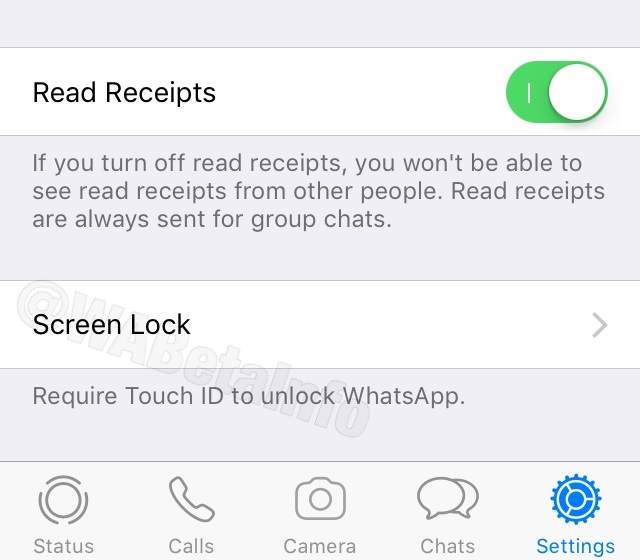 Finally today WhatsApp has released the feature for all beta testers, and we have noticed some small improvements! 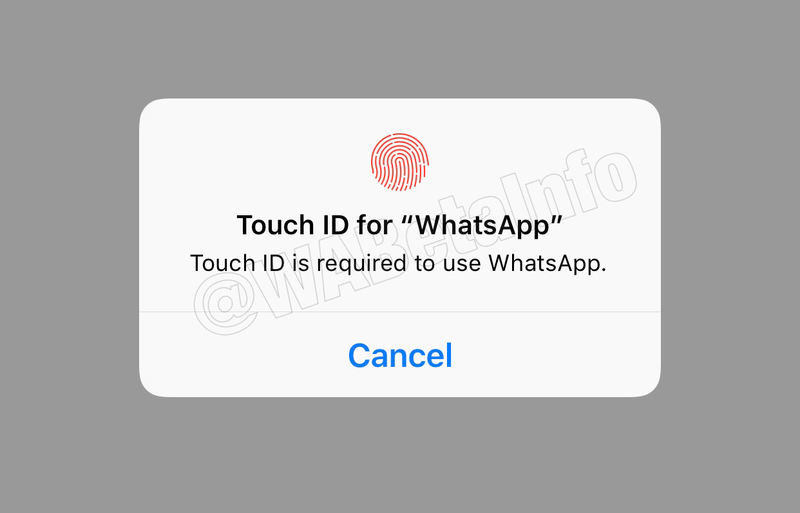 The Authentication feature, as shown in the old article, is available in WhatsApp Settings > Account > Privacy. 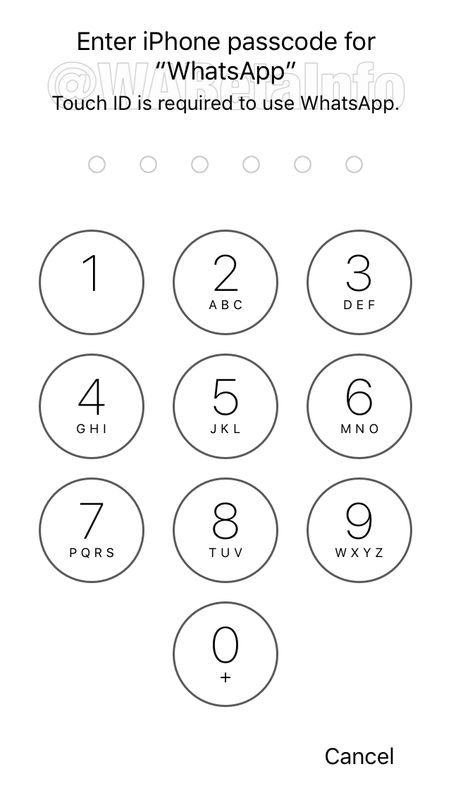 If you select Screen Lock, you can choose to enable the Authentication feature for your device. 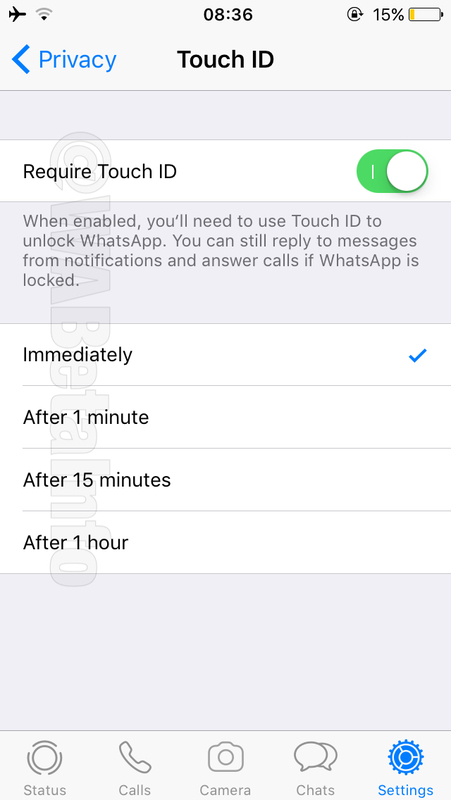 Note that enabling the feature won’t prevent you to reply messages from notifications and answer WhatsApp calls without the authentication. This screen appears only if you deny to authenticate your identity. 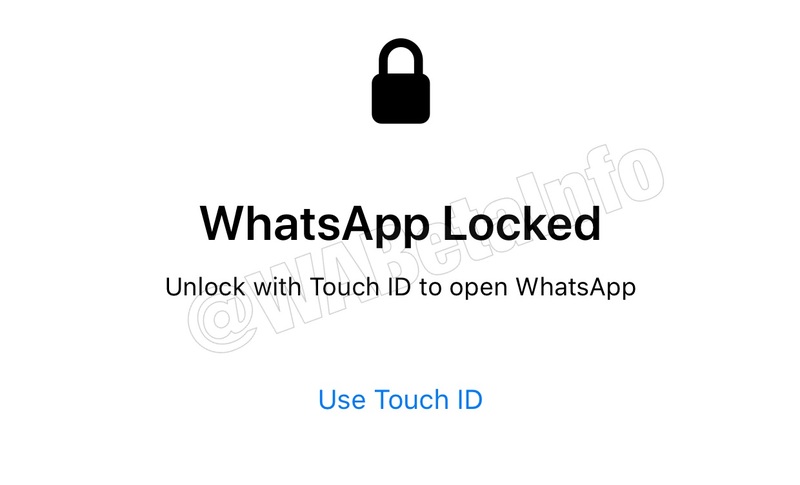 Your fingerprint (or face) data is encrypted in your phone: for this reason WhatsApp is not able to extract this information from your device (and no data is sent to their server), because the authentication process is managed by iOS. It’s totally safe for your privacy to enable this feature. As explained above, the feature will be immediately enabled in the next 2.19.20 App Store update. It’s possible now to download a specific sticker from a stickers pack, so you are no longer forced to download the full stickers pack. 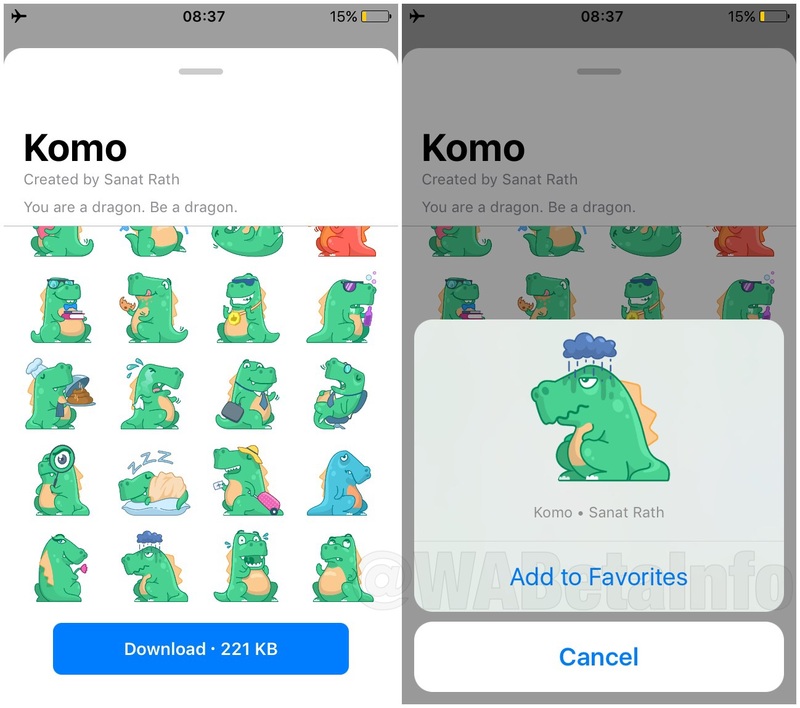 To test, simply open the WhatsApp Stickers in-app Store, then select the stickers pack and tap and hold the sticker you want to add as favorite. The update brings some new bug fixes and improvements, in particular for the media player, for editing videos, for the search bar, location and to zoom in status media updates. Previous PostPrevious WhatsApp is rolling out the Picture in Picture feature! Next PostNext WhatsApp beta for Android 2.19.33: what’s new?